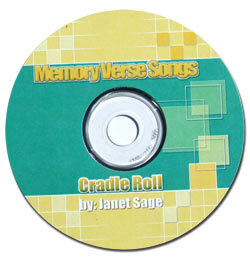 Please Note: The vast majority of the scripture songs on this cd are from the King James Version of the Bible. There are a few songs from the RSV version. Don't be deterred by the plain packaging, the quality songs on this cd will be approved by even the most scrutinizing mothers.